At IL VIAGGIO TRAVEL our guests travel on spacious, comfortable, luxury, air-conditioned and constant renovated transportations. 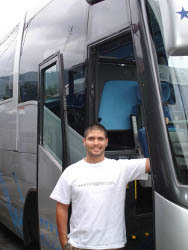 Each service of transportation is customized for your comfort and specific needs. 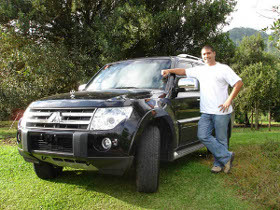 - Fun Transportation, including: Land Rovers, Hummers and much more. With us you will live the ultimate flexibility, personalized service, interaction and fun, without leaving your transportation! Just imagine how much more you will live during the activity. When we tell our guests it’s a guided service, it means that they will meet our outstanding characteristic: our tour guides. Each vehicle will be accompanied by a Professional Guide, whose highest priority is to ensure that our guests are comfortable and well cared for, while having the trip of their lifetime. All our guides are experienced certified travellers and are trained in all aspects of your tour, including Costa Rican history, outdoor education, and interpersonal skills. They are also known to add own individual flair to each trip, infusing it with fun, interest, and humour. IL VIAGGIO TRAVEL will always have the product that will go beyond your expectations!! !